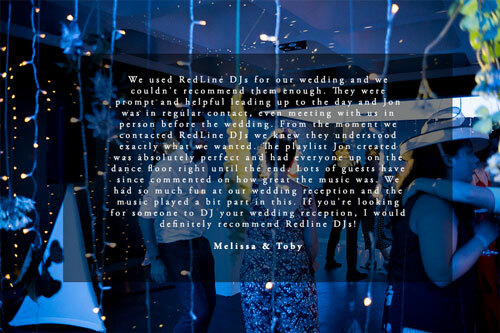 Looking for a party DJ but don’t know where to start? 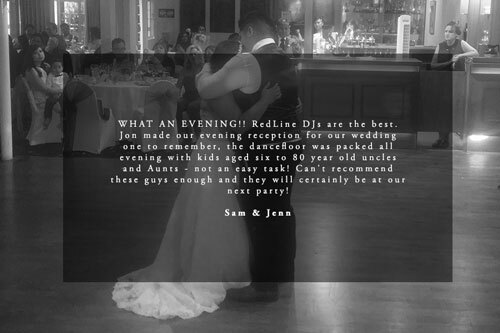 Are you worried about booking a DJ that isn’t going to play the music that you and your guests want to hear, or that turns up with dodgy equipment? Put simply are you concerned about booking a DJ that just isn’t very good? 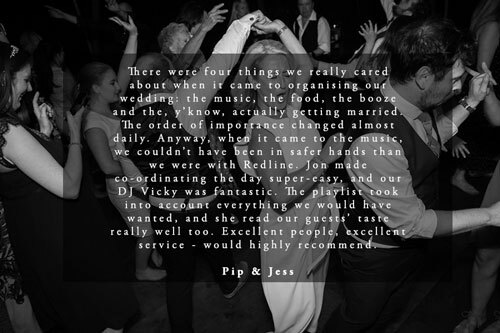 We believe that you should be in control of the music that’s played at your party – so we work with you to create a bespoke setlist tailored to your needs, and keep your personal requirements at the forefront of our minds at all times. We use only the very best, professional setups with personalised lighting and mood package options if you’re looking to create extra wow factor. And when it comes to the music, whether you’d like a DJ spinning the very best 90s pop, noughties indie-disco classics, or a night filled with your favourite ‘70s Motown – or anything in between – we’ve got you covered. 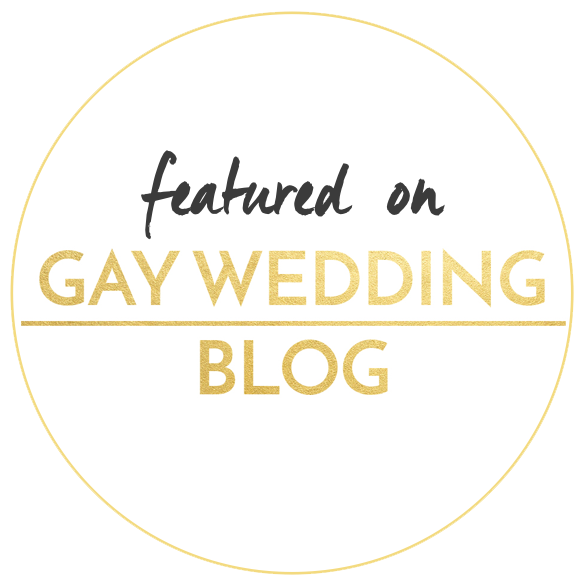 But don’t just take our word for it, have a quick browse of the fantastic feedback we’ve had from our previous clients below – it was an honour to be involved in these people’s celebrations, and we are proud of our five star reviews. 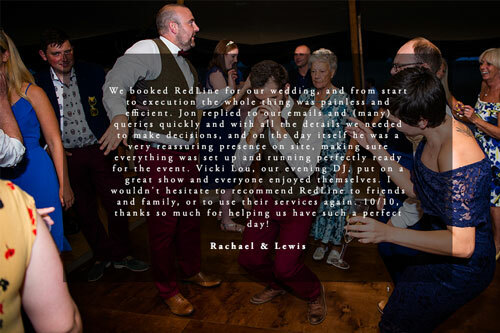 If you’d like a dancefloor that’s buzzing all night, and a room filled with smiles and laughter, then get in touch for a quick quote today. 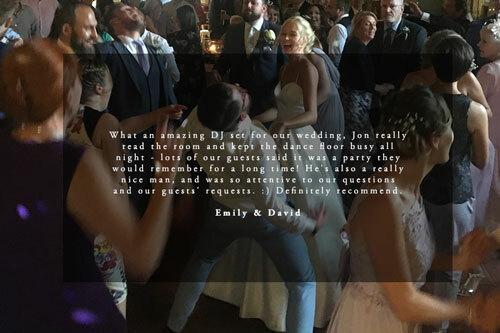 Each and every one of our exceptional DJs knows exactly what it takes to make any kind of party memorable, and how to keep your dance floor packed for the entire night. 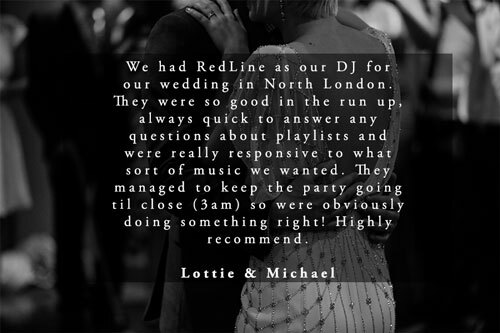 Whatever the party, simply let us know what you’d like to hear and we will pair you with one of the DJs from our roster to seamlessly mix a personalised setlist, just for you and your guests. 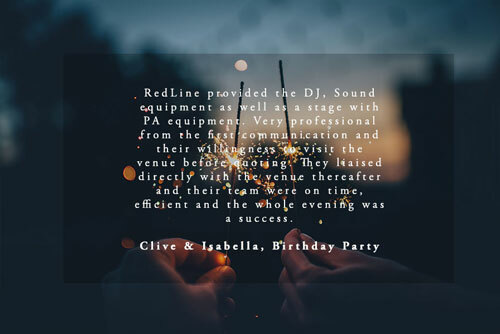 At RedLine, we know that there are a lot of amateur DJs who have spent the last decade turning up to gigs and playing the same scripted setlist to bored-looking dancefloors. We are here to offer you so much more. 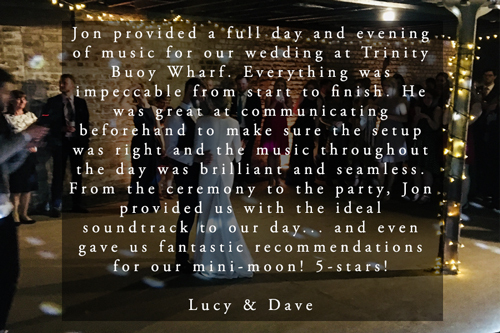 Not only do we only use the best DJs but we also use the very best equipment and come fully equipped for any eventuality.